It’s easy to love comics characters but it isn’t easy to read comics. Contrary to popular belief, comics aren’t always kid-friendly — both in terms of content and in how “beginner friendly” they are (or, in most cases, aren’t). Say that, after watching LOGAN, you wanted to read some of X-23’s big stories. You go to the comic book store, pick up the first issue with Laura on the cover. You’re armed with the assumption that, having watched the movie, you’ll get the general gist of what’s going on. Two pages in, you quickly realize your mistake. That’s where an essential reading list comes in handy. Comics require readers to bring a lot of prior knowledge with them. This means following not only the series itself, with its individual arcs, but also the characters within the series. 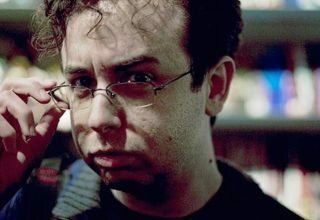 If a writer mentions some dark moment in a character’s past and you have no idea what they’re talking about, your experience as a reader worsens. Reading comics can be hard but it doesn’t have to be. If you love X-23 as much as I do and want to learn more about her character (and how to follow her story more accurately) you’ve come to the right place. 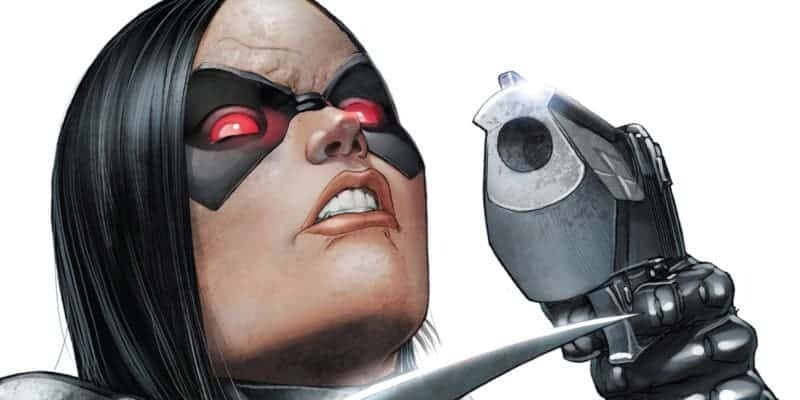 This X-23 essential reading list will make you an expert in no time. 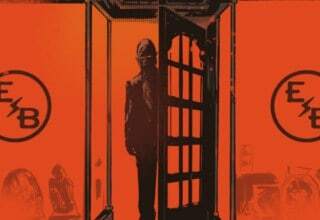 Get your ComiXology account ready because you’re going to need it. This series is where it all began. One of the great things about X-23’s character is that she’s fairly modern, which means her first appearances are accessible. Compare that to her fellow X-Men member Jean Grey, whose first appearance is from 1963, and you see how that’s a serious benefit. 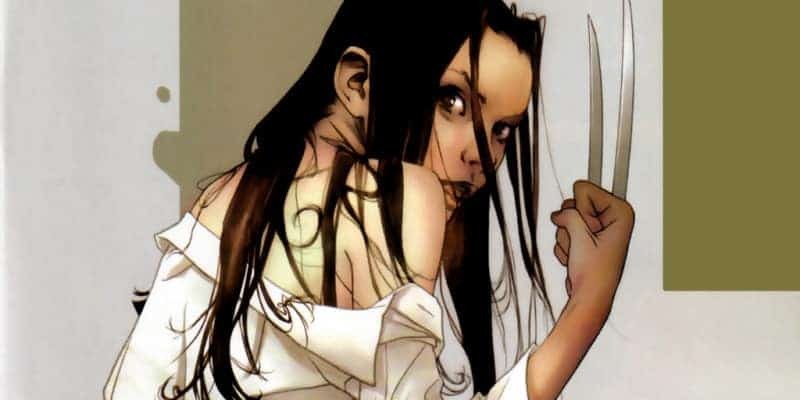 Laura’s origin story plays out like a tragic (but entertaining) play in Marjorie Liu’s X-23. It’s the kind of series that puts a character that easily could’ve faded into oblivion firmly on the map. Even if you already know all about Laura’s origins, don’t pass on this one. 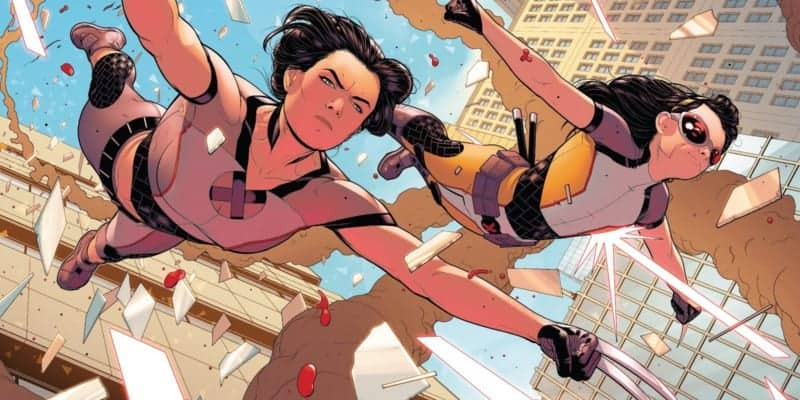 X-23: TARGET X picks up right where Liu’s story left off. The series follows X-23 as she adjusts to the real world, finds her family, and confronts her past. If you’re trying to connect all the puzzle pieces that make up Laura’s history, TARGET X is an important series to read. It’s an intimate look into young Laura’s disturbed psyche at a difficult time in her life. Without reading TARGET X, Laura’s development in later series won’t make a lot of sense. If you’re looking to skip a few series’ on our X-23 essential reading list, don’t skip this one. 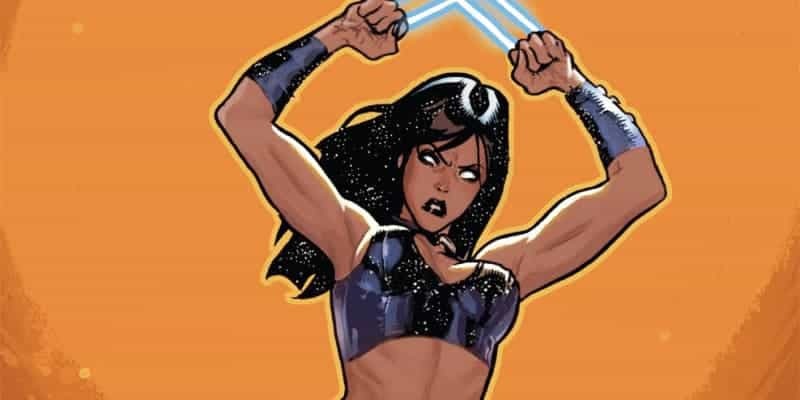 NYX isn’t about X-23. It’s really about a handful of unknown Marvel characters, living gritty lives in New York City. The short-lived series was one of Marvel’s numerous attempts to channel an edgier vibe during the early 2000s. Whether or not NYX did that is debatable. 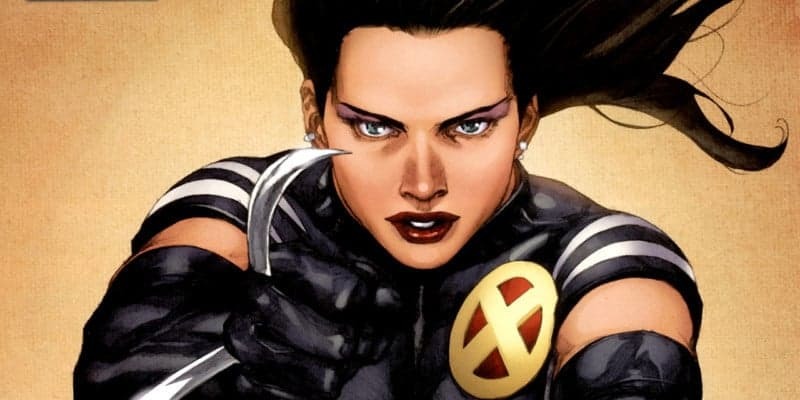 What it did do, however, is show X-23 fans where their favorite clawed mutant landed after Captain America let her go in X-23: TARGET X. NYX #3 sees Laura in a hotel room, working as a prostitute for a violent pimp named Zebra Daddy. I know what you’re thinking: the trained assassin who hates human contact is working as a prostitute? I know it sounds strange, but let me explain. The series as a whole is pretty “X-Rated” so Laura’s unlikely profession doesn’t come as much of a shock. All of the characters function in the underbelly of society in NYX. 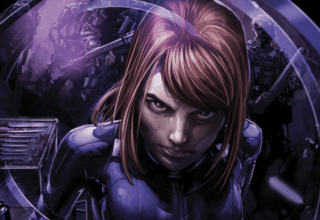 Still, were the series not so bold, I kind of doubt Marvel writers would’ve placed Laura in that role. 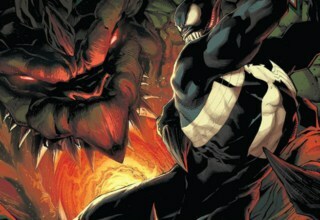 Her character plays a semi-important role, particularly in issues #3 and #7. If you don’t like the idea of reading a whole series just for a handful of quality Laura scenes, you can skip NYX. X-MEN #165 is a holiday issue, which means not a lot happens for most of the characters plot-wise beyond snowball shenanigans at the mansion. 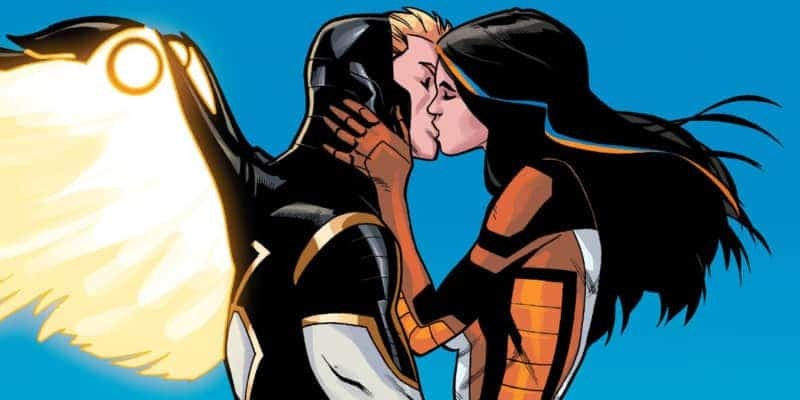 The only real exception is Laura, who officially becomes a member of the X-Men in the issue. The transition is tough but, thanks to Rachel and Kitty, she begins to understand what it means to be a superhero. If the jump from NYX to X-MEN #165 seems a little nonsensical that’s because it is. UNCANNY X-MEN #450-451 show Laura working at a club, where she inadvertently encounters the X-Men while trying to save a girl. 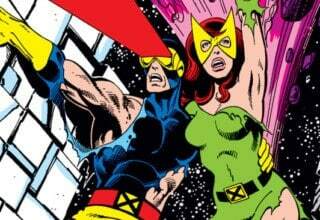 These issues begin her long-term relationship with the X-Men but they don’t necessarily need a spot on our essential reading list. If you’re on a budget, stick with X-MEN #165. After a few years with the X-Men, the cosmic force known as Uni-Power approached X-23 with an offer. The force needed her unique healing abilities in order to stabilize its decaying form. In exchange, it would temporarily grant her immense power. While she rebuked the cosmic force a few times, she eventually decided to help it. This storyline is honestly a little odd and may not be suited for every X-23 fan. It’s unlike any of her other series and lacks the grittiness that pulls a lot of readers to her character. With that being said, if you want to understand every facet of her later stories, her time as Captain Universe is vital knowledge. Post M-Day, X-23 was one of the few mutants to retain her powers. This landed her on the small team made up of remaining Xavier’s students: the New X-Men. She joins the squad, against Emma Frost’s wishes, in issue #23 and remains a part of the team until the end of the series. While she isn’t the main character, as in her solo series, NEW X-MEN shows a more sociable side of X-23 that we don’t see very often. She tentatively begins her relationship with Hellion in this series, which follows her years after. The friendships (and rivalries) she makes as a member of the New X-Men also become a permanent part of her character. The X-Men don’t always play nice. Sometimes they have to bring out the big guns — a.k.a. Wolverine. In the 2008 series X-FORCE, Cyclops tells Wolverine to round up a group of assassins in order to complete a few hush-hush assignments. 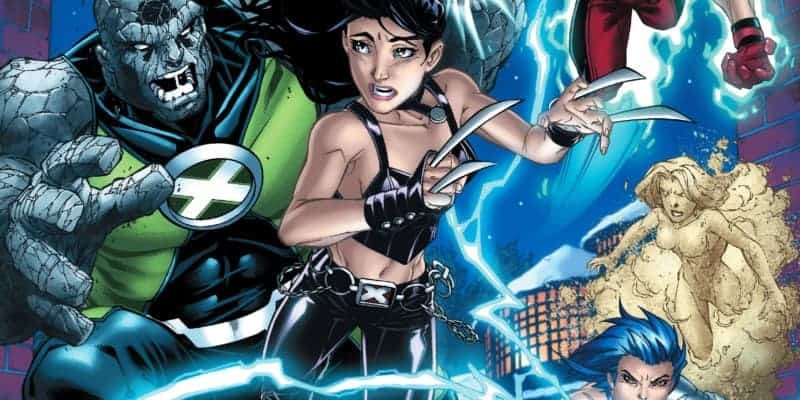 Even though she was a member of the New X-Men at the time (and was trying to put her killing ways behind her), Wolverine brings Laura to the team. Chaos ensues. X-FORCE is a dark comic — it always has been. 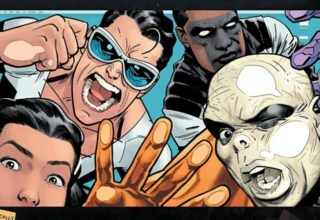 X-23’s appearance on the team makes it even more so. This version of the character is as impulsive and violent as the young Laura from the original X-23 series. Writers Craig Kyle and Christ Yost brazenly reveal Laura’s “true” self — and it isn’t always pretty. After Laura’s New X-Men teammates found out about her joining X-Force, they were furious with her. In an effort to regain some sense of independence (and distance herself from her once-friends), she leaves the X-Men in her 2010 solo series. Gambit joins her and together they go on numerous adventures, occasionally teaming up with Wolverine and Jubilee. This series is a landmark in X-23’s history and tells some of her most memorable stories. She’s finally an adult (sort of?) which means she can start to make some of her own decisions. More than any of her other series this is Laura’s opportunity to start coming into her own a little more. Written by famed comic writer Marjorie Liu, you’ll regret not picking up this one. After her 2010 series, Laura jumped around from series to series. She briefly attended Avengers Academy and then teamed up with Venom and Ghost Rider for a time. 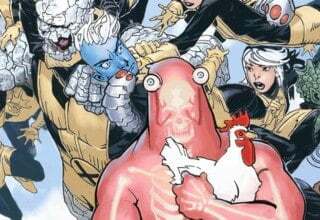 While some of her adventures during this period are entertaining, none of them are intrinsically important to evolution as a character until the events in ALL-NEW X-MEN. This series marks Laura’s return to the X-Men and the beginning of her relationship with teen Angel. In some ways, Laura’s maturity reverts back to where it was before her 2010 solo series, which upset some fans. I don’t think Laura’s characterization in ALL-NEW X-MEN is perfect, but it also isn’t horrible. A lot of events focus on Laura and her development as a more social character, capable of forming real bonds with people her own age. That’s reason enough to give it a try. As one might’ve guessed, Wolverine’s (temporary) death hit Laura pretty hard. The series DEATH OF WOLVERINE: THE LOGAN LEGACY details Laura’s grieving process as she comes to grips with Logan’s death. 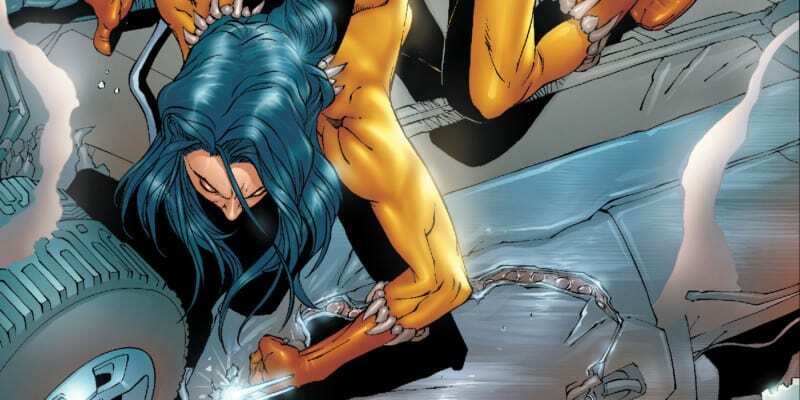 While writer Tim Steely focuses on Laura, the series also features some of the other “Wolverine-esque” characters like Daken, Lady Deathstrike, and Sabretooth. I don’t think this mini-series is absolutely necessary for X-23 fans, but it does elaborate on Laura’s close bond with Logan. Although I find that relationship pretty unique in the world of comics, if you don’t, DEATH OF WOLVERINE: THE LOGAN LEGACY is okay to skip. The unofficial motto for the 2015 series would have to be: Wolverine is dead, long live Wolverine. Logan’s death left a hole in Marvel comics that only Laura Kinney could fill. 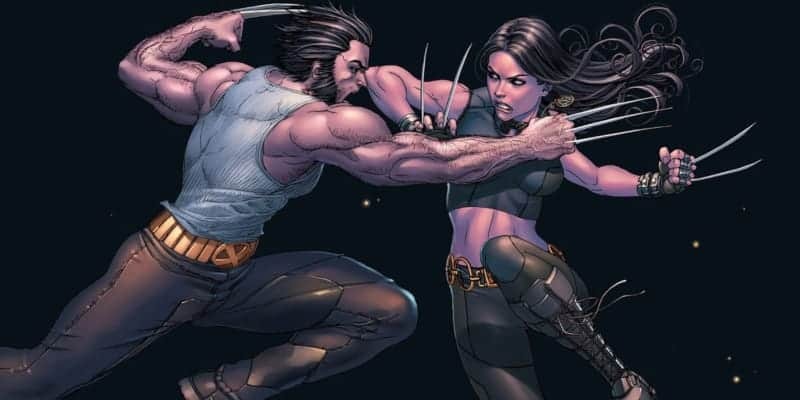 Shedding her former X-23 title, Laura took the codename of her father-figure, Wolverine, as a way to both honor him and fulfill her own potential as a hero. 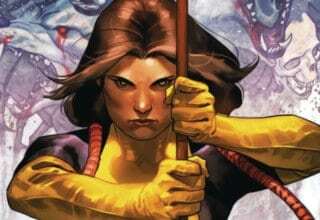 During its thirty-five issue run, ALL-NEW WOLVERINE dramatically transformed Laura’s character, giving her new motives along with her new name. 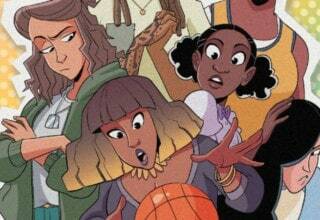 Writer Tom Taylor also added a new identity to Laura’s repertoire: sister. Gabby Kinney became a regular on the series and helped to reveal Laura’s more tender and maternal side. But don’t worry — there’s still plenty of action. Laura goes up against some fearsome villains, from Dr. Doom to her own “brother,” Daken. Critics and readers alike hailed ALL-NEW WOLVERINE as one of Laura’s best and most balanced of her numerous solo series. It’s the essential series on our essential reading list. You don’t want to miss this one. 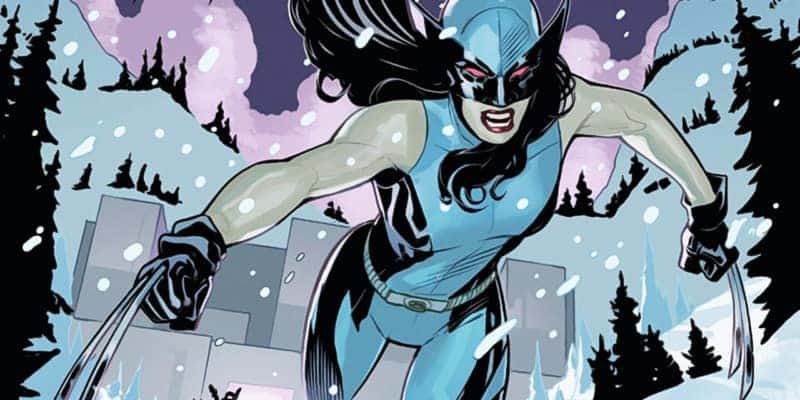 With the “real” (ugh) Wolverine’s return, Laura Kinney had to relinquish her hold on the famous title. 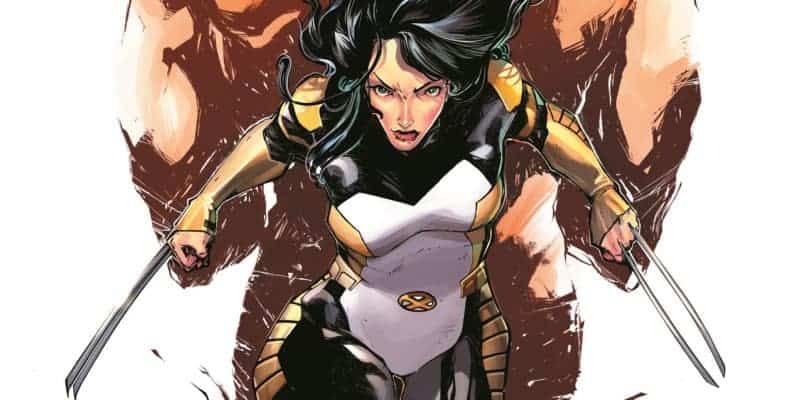 The end of ALL-NEW WOLVERINE meant the beginning of Laura’s 2018 series X-23. Much of what Taylor created in his own series stayed the same in X-23, with the only real changes being Laura’s name and her uniform. Gabby becomes a pivotal character in this series, so if you’re not a fan of Laura’s mini-me, you should probably leave this one on the shelf. X-23 is an ongoing series, so I can’t say for sure if it will end up doing Laura any justice. Only time will tell if it’ll deserve a spot on our X-23 essential reading list in the long run. Still, it’s a good way to keep up with the character without having to tune into every X-Men series Marvel has out. 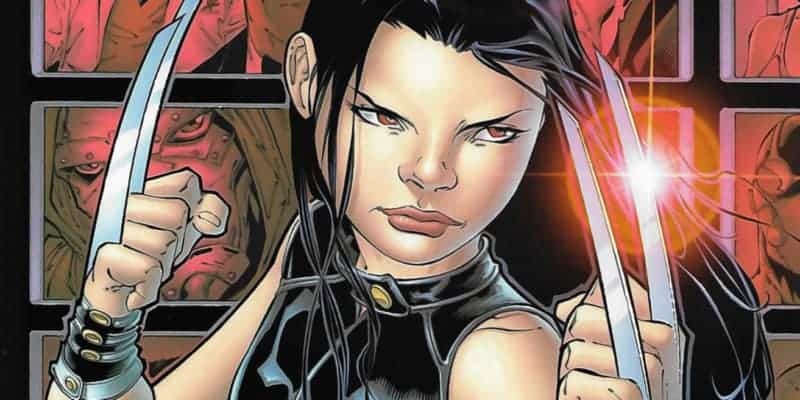 The first X-23 series listed is mistakenly credited to Marjorie Liu, but along with Target X and New X-Men, was actually written by Yost and Kyle.